I don’t know about you, but most days I breath a little sigh of relief when its gets to bath time. After a long day with the girls, you know that bath time leads to bedtime and you can see the finish line, where you can collapse on the sofa. This week I have felt it even more, as with my nan sadly passing away it has been difficult to keep everything together and I needed to collapse on the sofa more than ever. Most of the time Andy and I both do bath time and bedtime and our usual routine, is for Andy to bath the girls while I have a quick tidy round their rooms. Then when its time for them to jump out we both get them ready for bed and story time. Occasionally and we are lucky that it’s not too often, Andy has to stay overnight with work. Which happened this week and he was away for two nights, I was even more ready for bedtime. 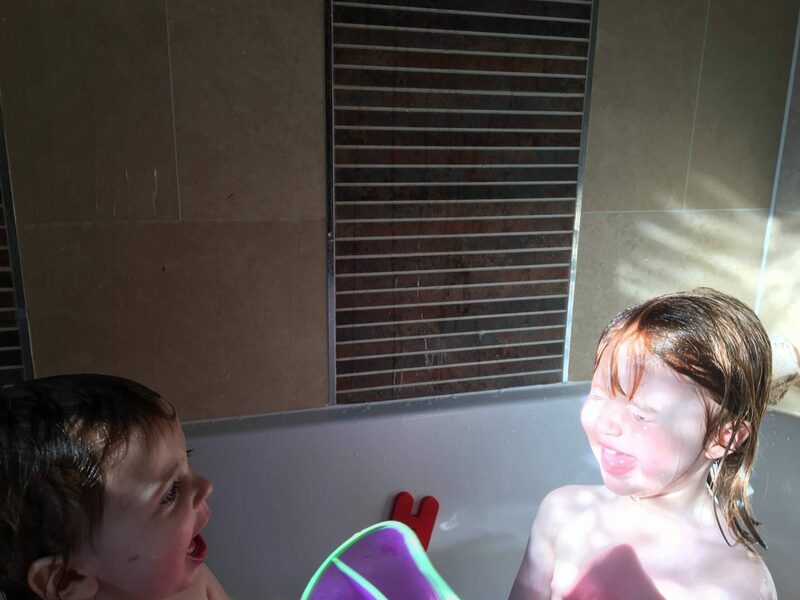 But, it does mean that I get to bath them and the girls were in a particularly excitable mood one night. Alice had been at preschool and they really do miss each other when they are apart. I don’t know how they will be when Alice starts school in September. Anyway, they were laughing and splashing, which normally leads to me telling them to calm down and reminding them not to get the water over the edge. You know all the usual mum speak that spurts out of my mouth on auto pilot. But, I didn’t. I sat back and soaked up their laughter, their giggles and of course grabbed my camera to capture the moment. Because sometimes I have to remind myself to let them be little, that does a little bit of water really matter. It was just what I needed this week and I’m trying to be less control freak mum, who doesn’t like the mess. Yes, it’s a work in progress and of course it doesn’t apply to everything. But when I can I am letting them push the boundaries a little bit more. And do you know what, I have quite enjoyed the results. 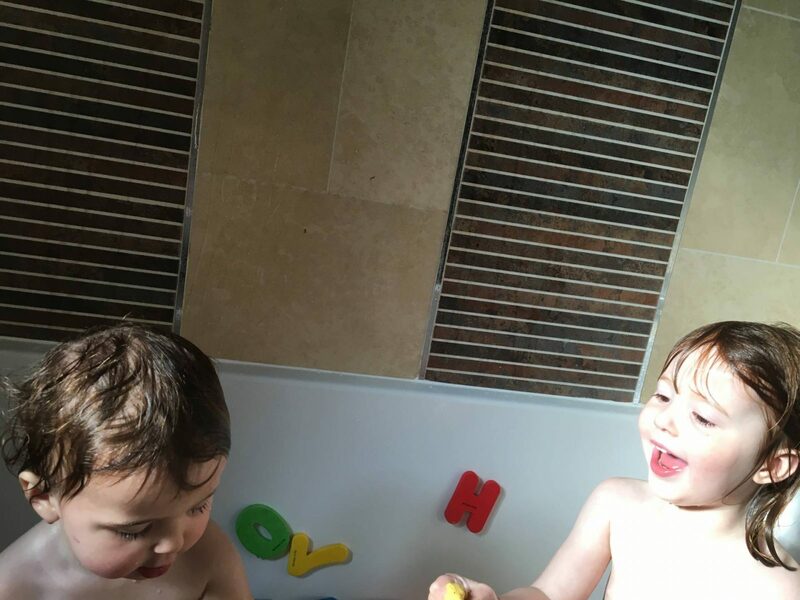 So, bath time in our house is now a little bit more crazy, but also a lot more fun…. Previous Post: « #Sharing the Blog Love…Our New Linky! What a lovely moment to share with us. It looks like the girls are having a lot of fun! Such a lovely moment. Sorry you’ve had such a tough week. It really can be so special when you take a step back and let them be little. 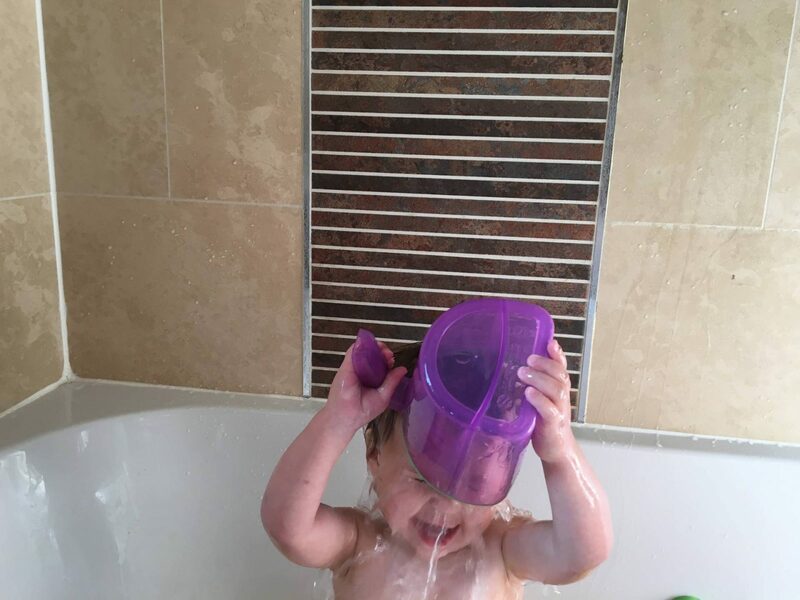 My little man loves bathtime, I can’t wait for shared bathtimes and double the fun! Sounds like they both love bath time though which is good! Like you I know its almost the finishing line for the day! Looks like they had fun, it’s always worth the mess if they have a laugh! Oh those photos are so sweet! 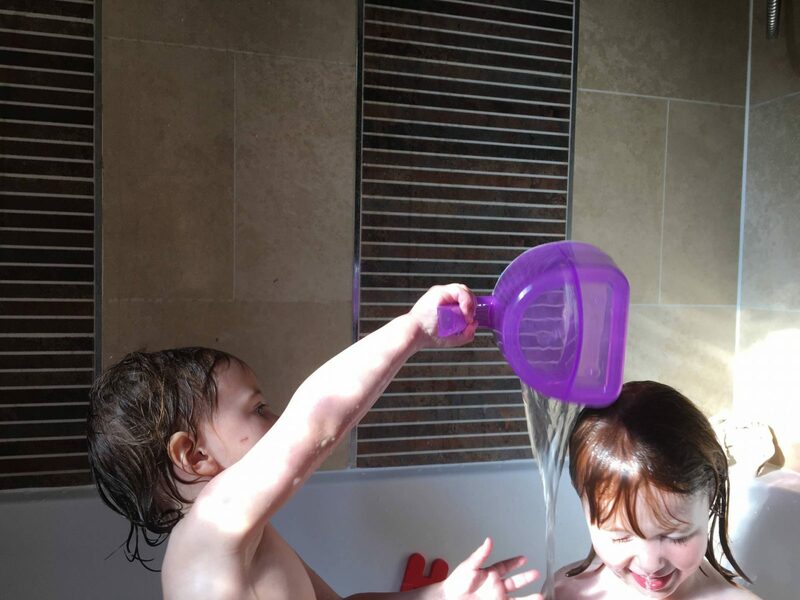 My girls are just the same at bath time, it’s such fun splashing each other and throwing water on each other’s heads! I actually quite like it though, I think it’s really important for building water confidence for swimming – if they’re not afraid to get their faces in the bath water, the swimming pool water becomes much less scary.